Prominent & Leading Wholesale Trader from Chennai, we offer construction tarpaulins, chemically coated tarpaulins and cotton canvas tarpaulins. 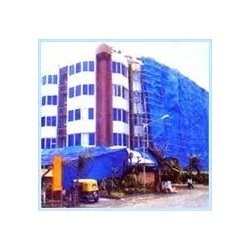 Aiming at maximum client-satisfaction, we are offering a commendable range of Construction Tarpaulins. The offered range is manufactured making use of L.D plastic sheets. Owing to their excellent performance and quality, these products are widely used for covering buildings which are under construction. These products are highly coveted in the domestic as well as international markets for its outstanding performance. 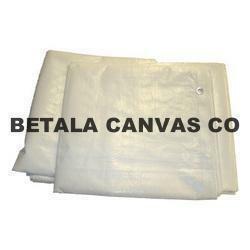 With assurance of quality as per the international standards, we are offering Chemically Coated Tarpaulins. We are a client-centric organization and manufactured these products in accordance with their exact requirements. 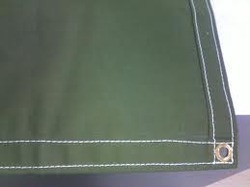 For this, we used ultra-grade raw material which is collected from the renowned vendors. Moreover, these products can be availed by the clients at reasonable price range. 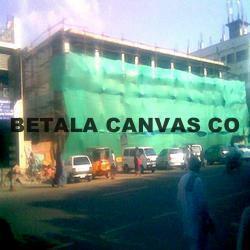 Owing to our rich experience, we provide quality range of construction tarpaulins or building covers to our clients. These are widely acknowledged for tear resistance and durability. Our range of building elevation covers / construction tarpaulins come in various sizes and widely used as general coverings, tents, Geo-membrane sheets, packaging material, disposable sheets used in cattle farms, elevation covers, ground sheets, donnage etc. Looking for Construction Tarpaulins ?